In this age of social media, it is interesting to explore the potential of the tools available. 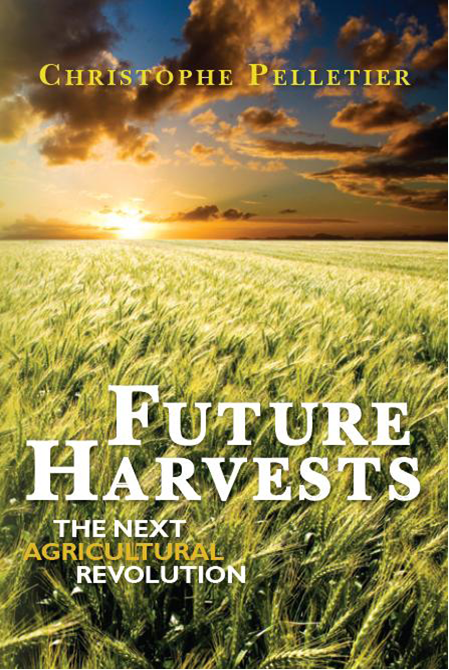 This is why I have created a page for my book “Future Harvests – The Next Agricultural Revolution” on Facebook. This Facebook page is for all the people who are interested in the future of food production and food supply. Readers of the book, as well as non-readers yet, can interact there with each other and with me. There are more than 500 million Facebook users in the world. According to LinkedIn, there are 2.2 million people in my network. The book has been well received. It has already directly generated new business for my company. What does happen when someone depends on the kindness of strangers? Clearly, I am very curious to see how far the Future Harvests Facebook page can reach through my contacts, their contacts, and so on. If you want to know more and/or you know someone who would be interested in the topic of the book, please pass this message on. I believe something interesting should happen. This entry was posted on Friday, November 19th, 2010 at 10:00 am and is filed under Books by The Food Futurist. You can follow any responses to this entry through the RSS 2.0 feed. Both comments and pings are currently closed.